One of the things to do when in Denmark is shop for cheese. 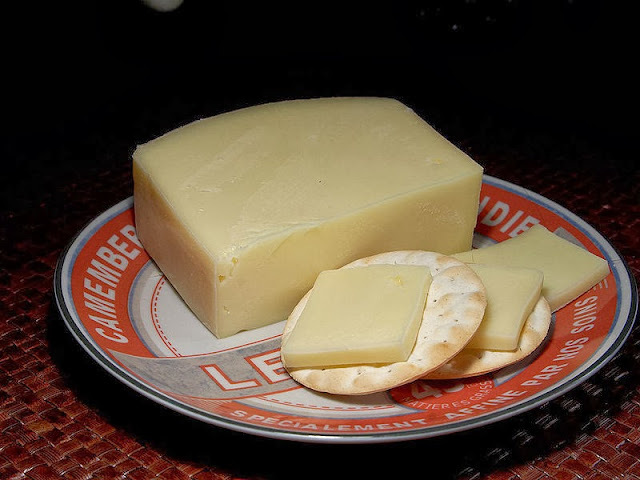 Over the years, it has established a reputation of having the best cheese in the world. The most common household cheese in Denmark is called Gamle Ole or also known as King Christian. This semi-soft Danish cheese is made from cow's milk, aged between 12 to 52 weeks and it smells really bad but a lot of people loves the wonderful taste of this stinky cheese. As a cheese lover, my husband and I went to Helsingør (Denmark) to try the Gamle Ole. When we opened the package, it has a rotten odor or ''stinky feet'' smell. Believe me, I was really disgusted but when I tried the cheese, it was actually very nice. So when you travel to Denmark, never miss the opportunity to try Gamle Ole cheese.